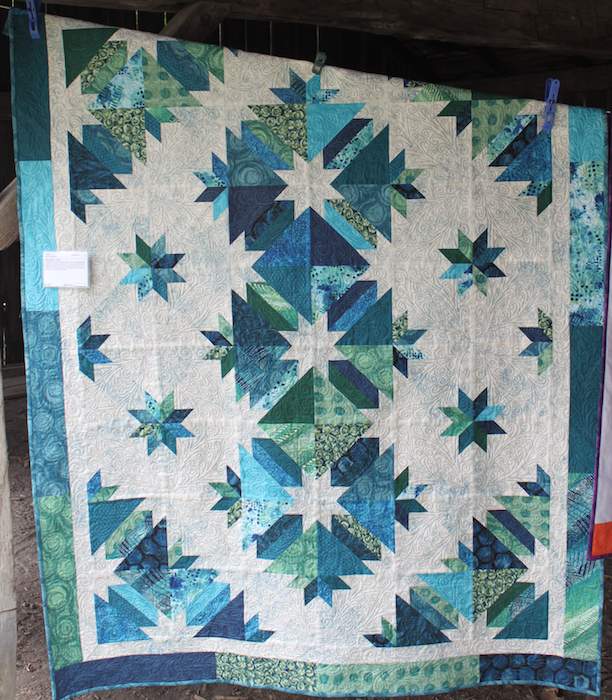 It was a hot weekend but that didn’t deter visitors from viewing the 298 quilts on display this year at Quilts at the Creek 2016. 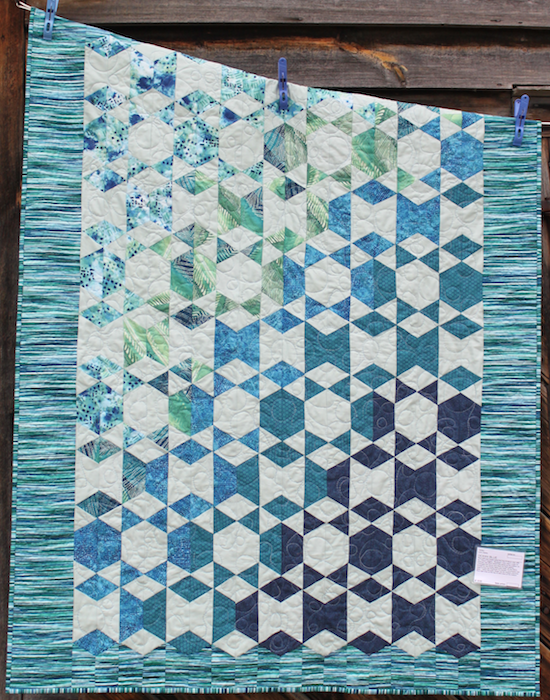 I participated in the Blue By You Fabric Challenge and was very interested in seeing the quilts others had created using the same bundle of Northcott fabrics. 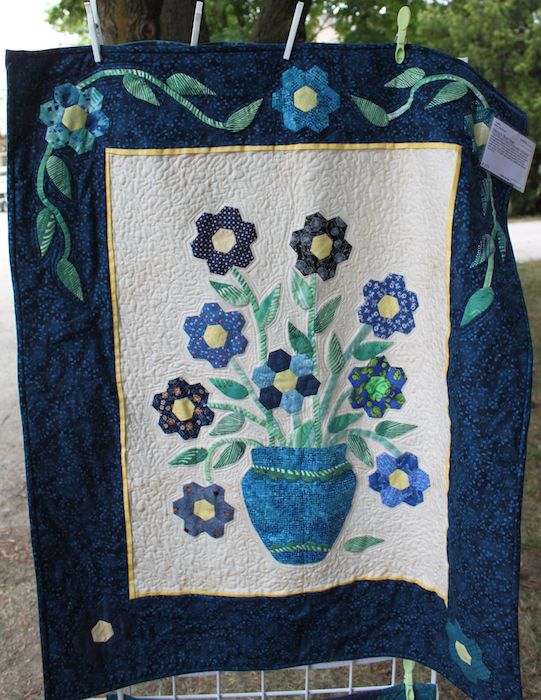 I photographed all the quilts I could find – they were scattered throughout Black Creek Pioneer Village. 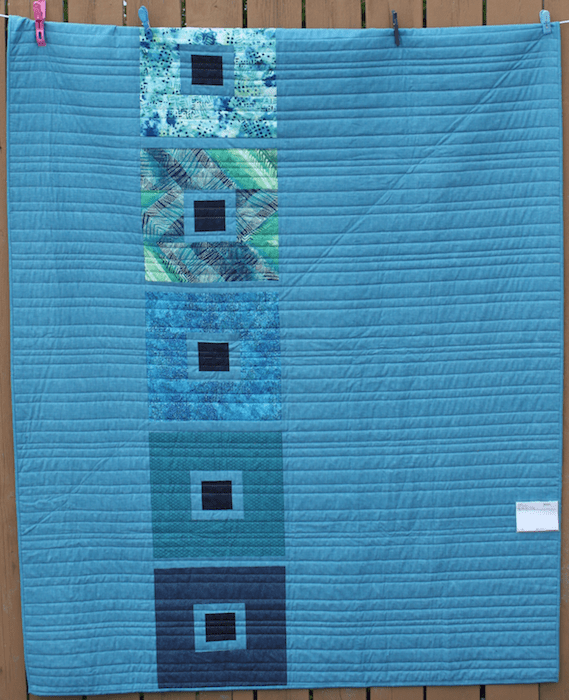 It was fun walking around trying to identify the Blue By You challenge quilts. 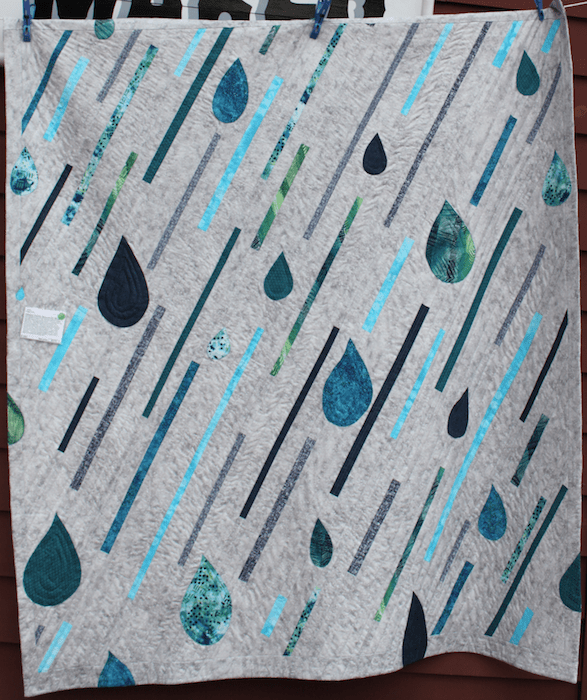 Every person used the Northcott bundle of fabrics very differently. 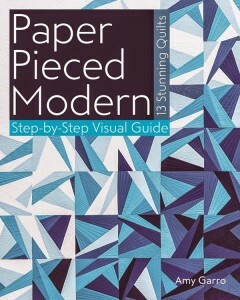 I was impressed by the designs, the variety of techniques and the workmanship in these pieces. Which piece to you like best? 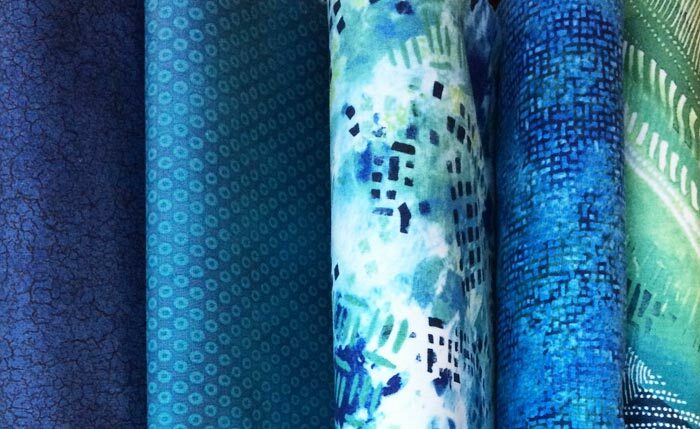 This beautiful bundle of blues are the Northcott fabrics selected for the 2016 Quilts at the Creek challenge: Blue By You. 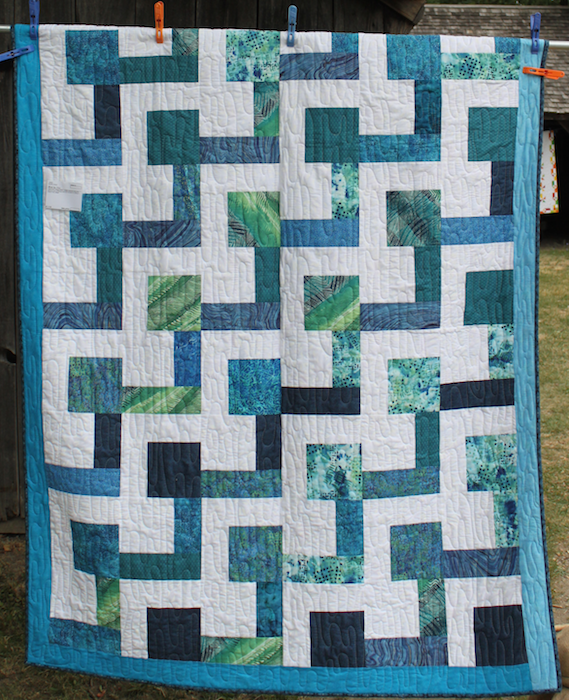 This was one of the easiest quilts for me to name. 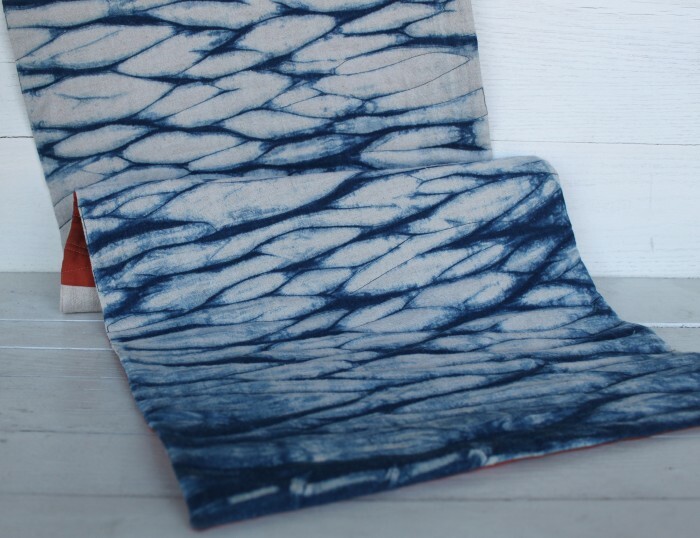 When they announced this challenge at a workshop last year they called it Blue by You, but, I heard Blue Bayou. 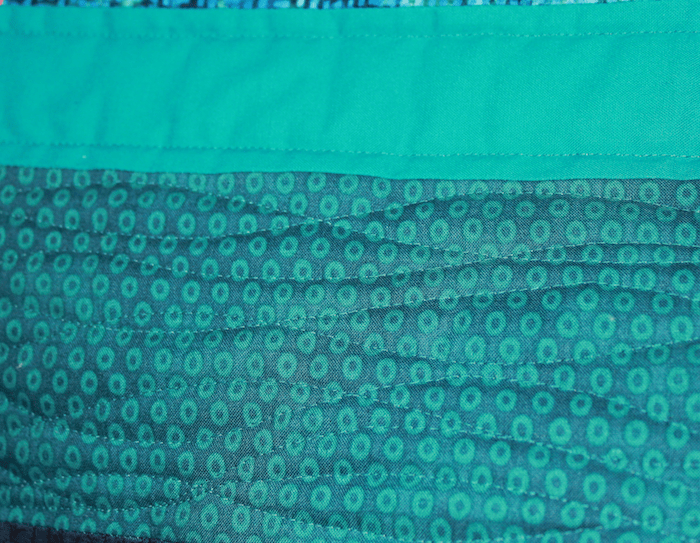 The fabrics reminded me of the changing colours of the tropics. 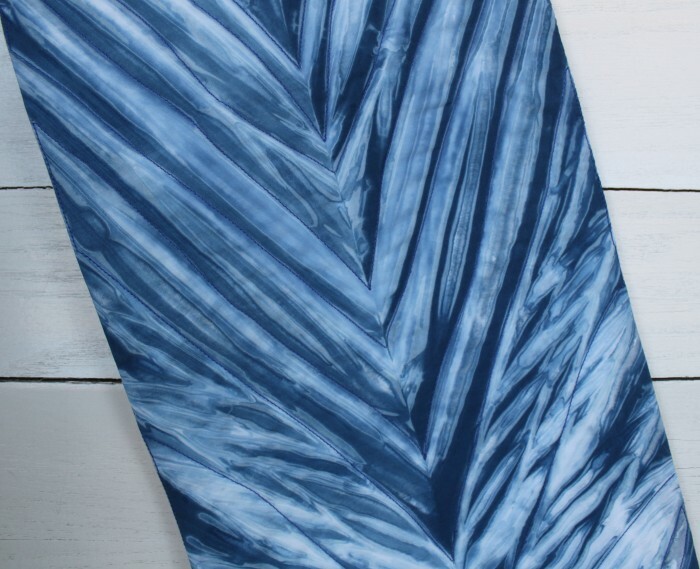 Aerial photographs of the ocean show the colour changing from a deep blue that is almost black to a light turquoise. The word bayou conjured images of hot temperatures, beaches, water and buildings painted reds, pinks and corals. 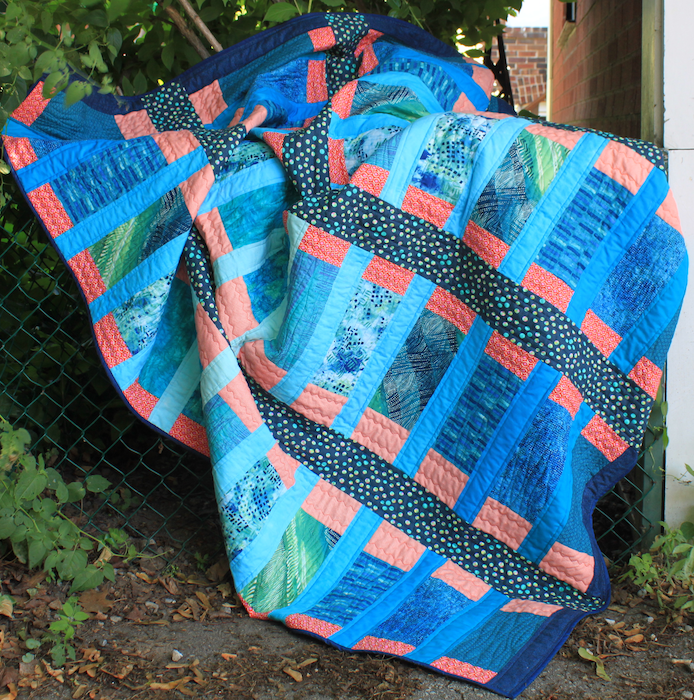 I searched through my stash and found a few more blues to co-ordinate with the Northcott bundle. 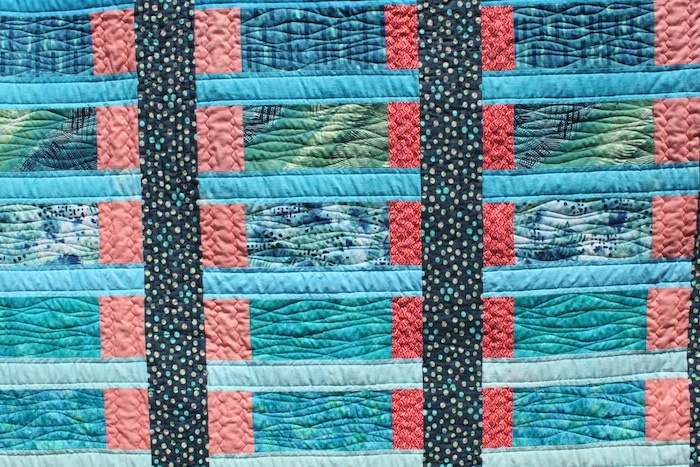 I added 2 small prints in red, some of my hand dyed solids and the navy with circles of blue, green and red tying the fabrics together. Many of the colourful painted houses found in tropical climates have jalousie or louvred glass windows. 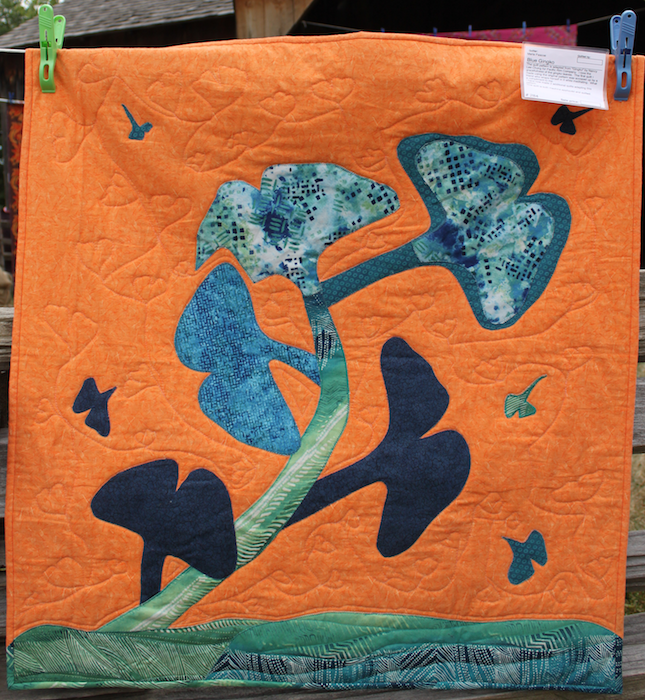 The design of this quilt reminds me of looking out of these jalousie windows and seeing a beautiful tropical vista. 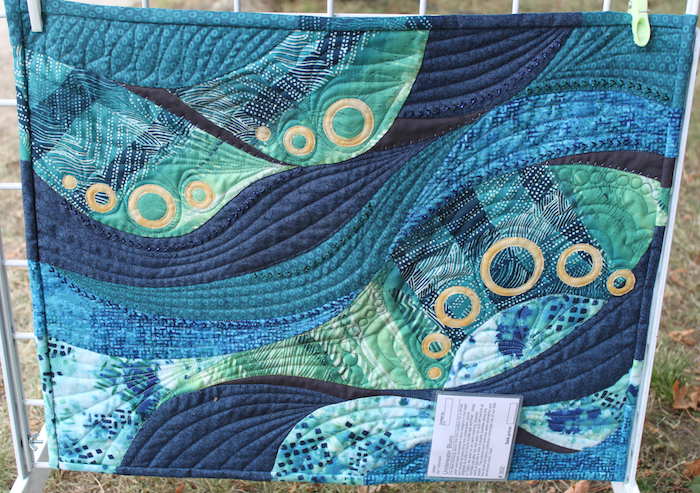 Blue Bayou is machine quilted with a walking foot. 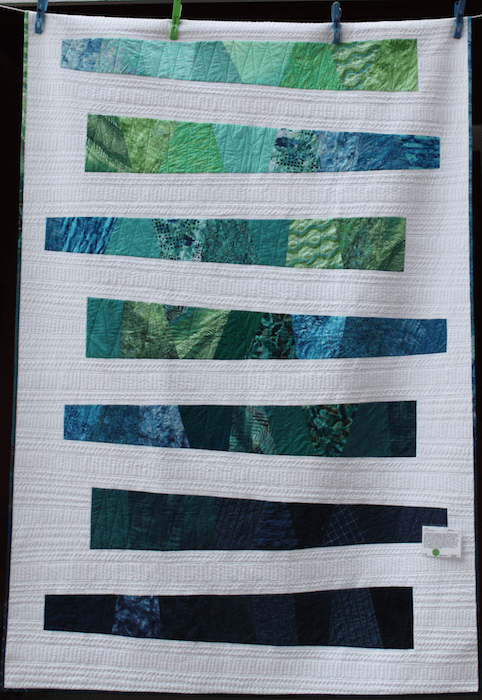 The undulating design in the blue rectangles refers to waves and the straight lines of the navy and blue solids to the frame of the windows. 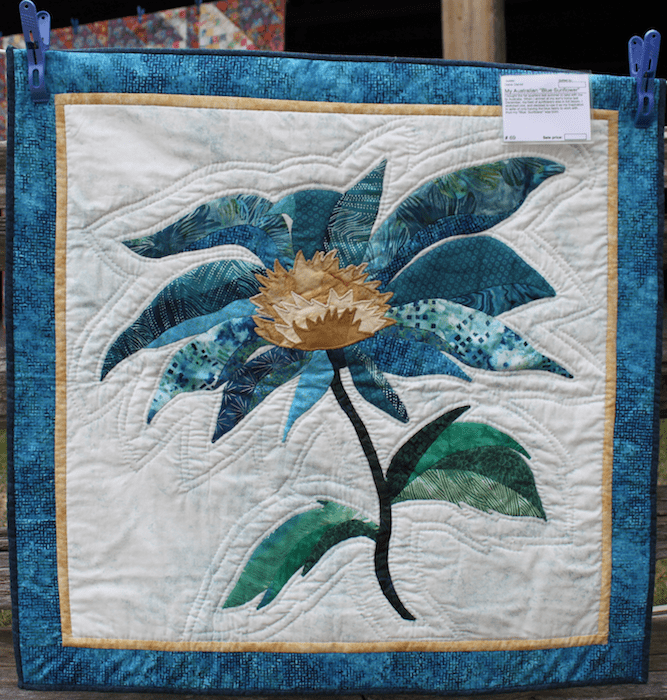 Stop by the Blue By You display at Quilts at the Creek July 23 and 24, 2016. 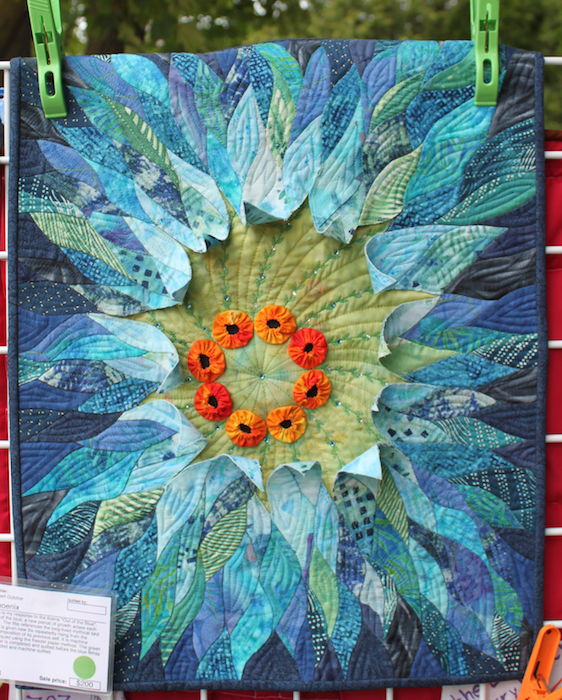 See what others have created with their fabric bundles! 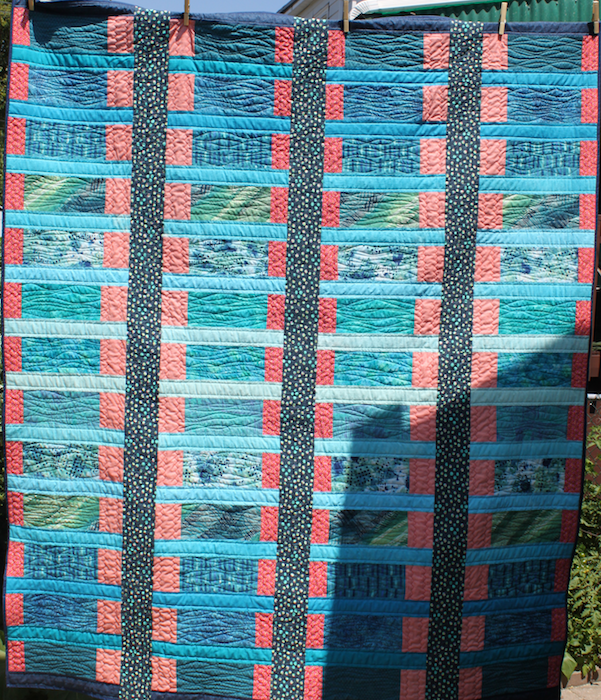 I just received the labels I will be attaching to the quilts I am entering into the Quilts at the Creek outdoor show this summer. 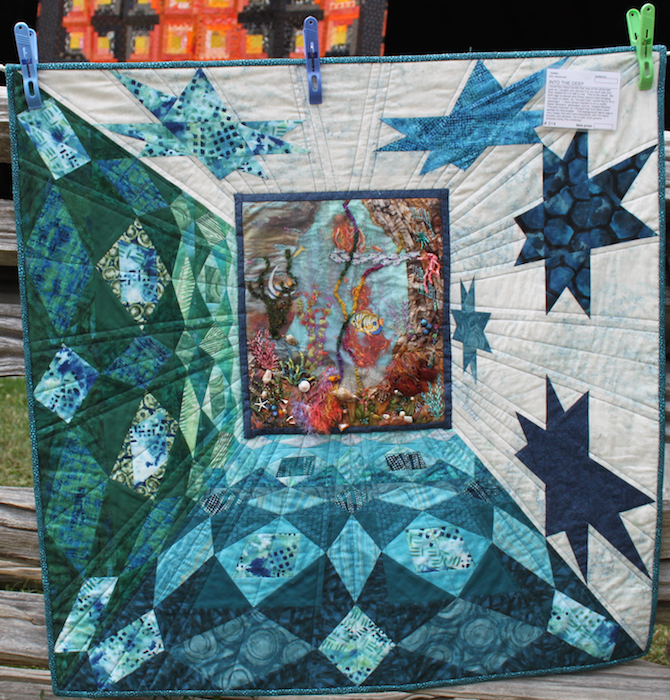 It’s a great venue to see a variety of quilts from traditional to modern and from all across southern Ontario. 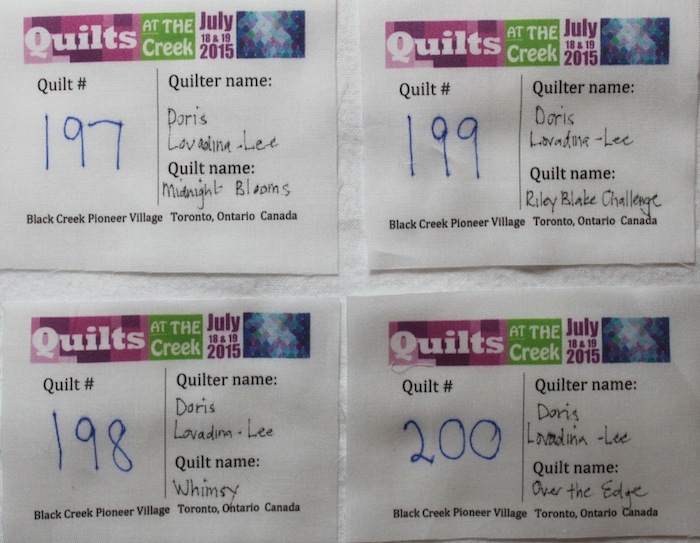 Hundreds of quilts will be on display in the beautiful pastoral setting of Black Creek Pioneer Village in Toronto. 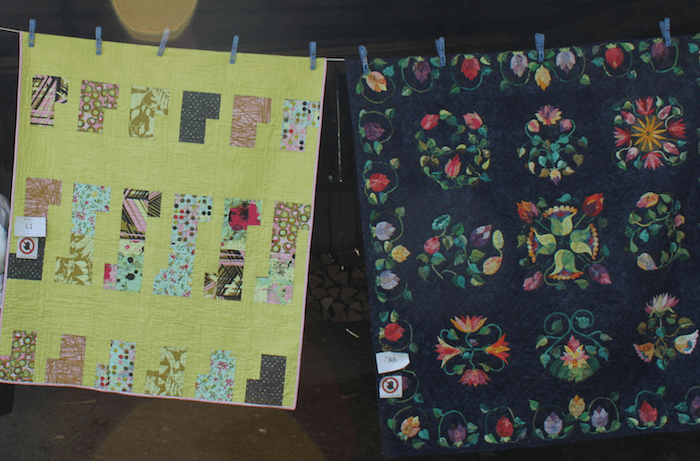 It’s a great sight to see the quilts hanging in the sunshine and blowing in the breeze. 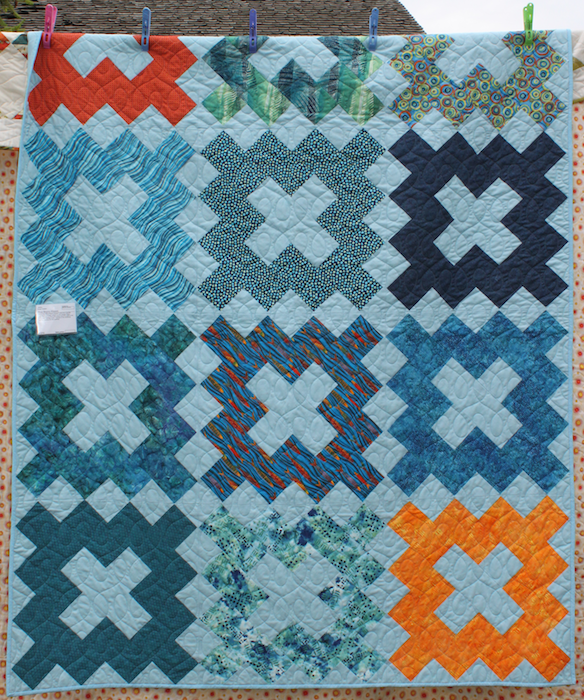 Each day of the show, volunteers set up all the quilts, mostly outside with a few in some of the buildings. These dedicated volunteers also take down all the quilts at the end of the day and have been known to very quickly take them down when rain threatens! 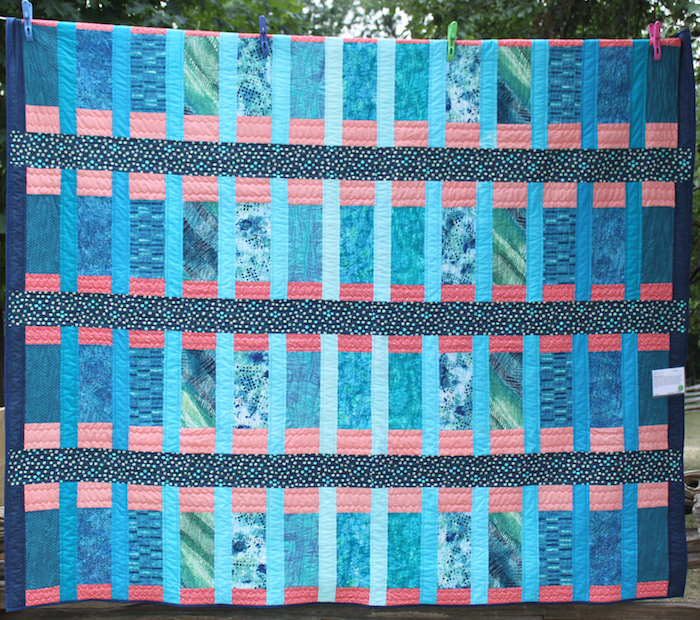 This year Quilts at the Creek will be held from Saturday July 18th to Sunday July 19th, 2015. Check the Black Creek Pioneer Village website for times, parking information and maps. 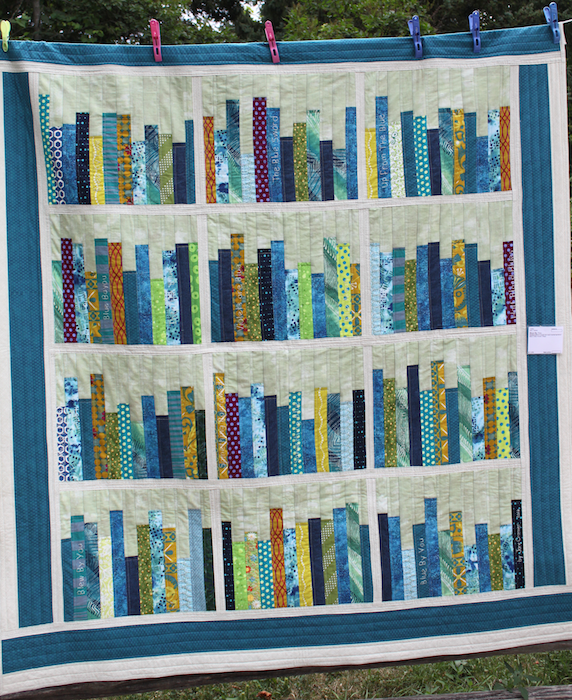 Valerie Prideaux the lead organizer of this great event, along with the York Heritage Quilters Guild have a lot of information on the Quilts at the Creek blog. 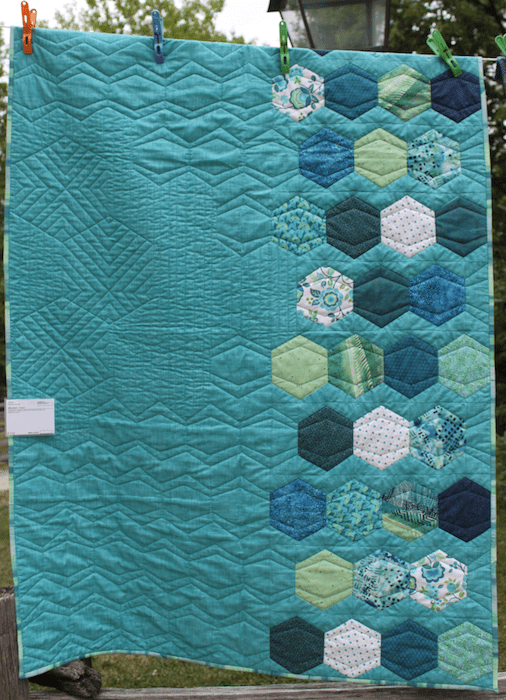 Find out how to enter your quilt, who will be presenting trunk shows, the vendors at the Merchant’s mall and so much more. 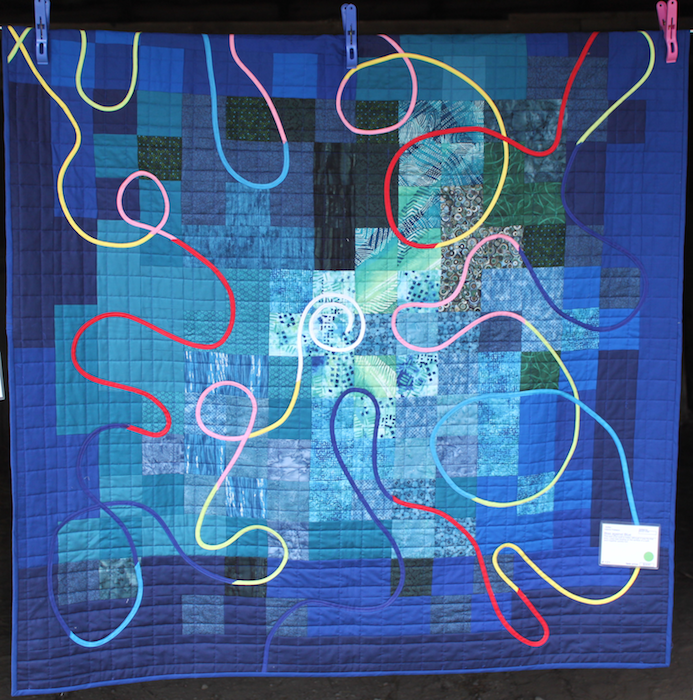 Amy Garro of 13 Spools is teaching 2 workshops: Graffitti Quilting on the Friday and Paper Piecing on the Saturday. 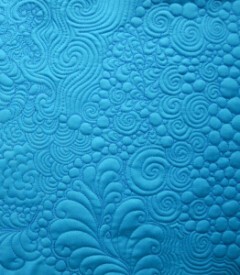 I am looking forward to learning Amy’s style of free-motion quilting. 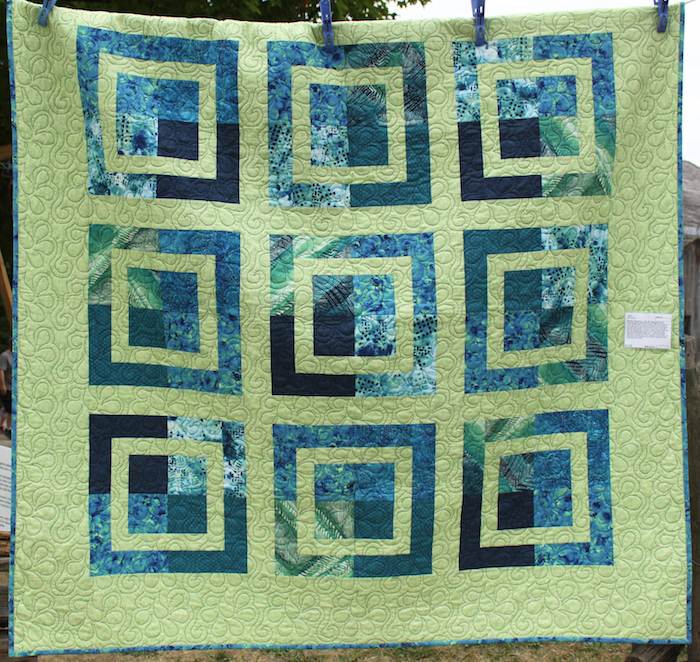 Hope to see you out at Black Creek Pioneer Village July 18th and 19th, enjoying the quilts in the beautiful outdoors.